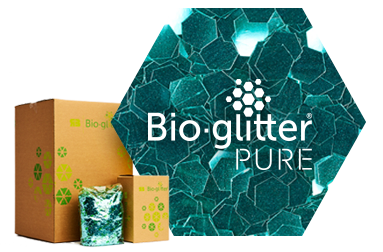 Cosmetic Bioglitter PURE is the worlds first 100% plastic free, certified biodegradable and verified microplastic free glitter. It introduces a NEW ‘Soft Focus iridescent’ glitter effect to the industry. Containing the same unique modified regenerated cellulose core as the original Cosmetic Bioglitter® SPARKLE, Cosmetic Bioglitter® PURE also utilises our new patent pending plastic free natural coating technology. As it does not contain any aluminium, it’s compliant with FDA legislation for use on the lips.